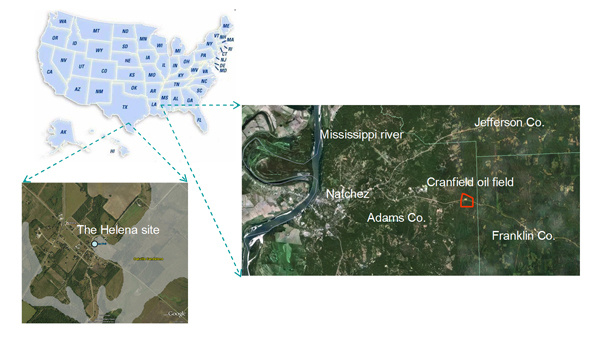 The WaterRF project is a two year effort by the Bureau of Economic Geology to assess impacts of CO2 leakage on groundwater quality using field studies based on push-pull tests in shallow sedimentary aquifers at a geological carbon sequestration site in Cranfield Mississippi and at another site in the Texas Gulf Coast. This study is designed to overcome the lack of information on impacts of CO2 leakage on potable groundwater under controlled field conditions. Previous studies have focused on laboratory batch experiments and numerical modeling. Theoretical modeling studies are not reliable because of large uncertainties in model parameters such as reaction rate constants and reaction surface areas. The results of this study should provide valuable information for assessing potential groundwater contamination from CO2 leakage. Assess impacts of CO2 leakage using push-pull tests in the field. Conduct lab batch tests to determine impacts of CO2 on major and trace elements. Simulate test results to evaluate mechanisms dominating mobilization of elements. 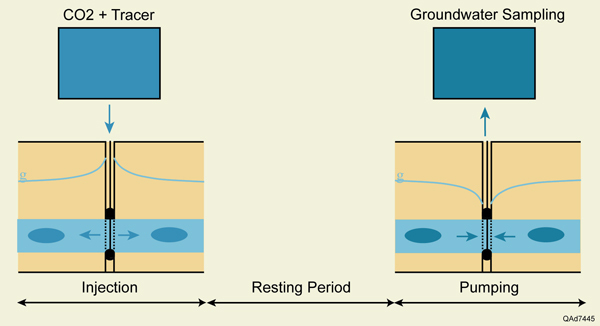 Evaluate diagnostic geochemical parameters of CO2 leakage into groundwater. Information on instrumentation for conducting push pull tests in aquifers. This investigation is co-directed by Drs. Changbing Yang and Bridget Scanlon and is funded by the Water Research Foundation. Matching funds are provided by the Gulf Coast Carbon Center and the Jackson School of Geosciences. Utilities participating in the study include Mr. Broussard, Lafayette Utilities, Louisiana; Mr. Coleman, City of College Station, Texas; Mr. Hovsepian, City of Houston, Texas; Mr. Hunsinger, East Bay Municipal Utility District, CA; Ms. Owen, Tampa Bay Water, Florida. The following provides background information and the tasks.